Golf Zoo President Ed Holofcener really, really, really likes hole #6 at SunRidge Canyon. 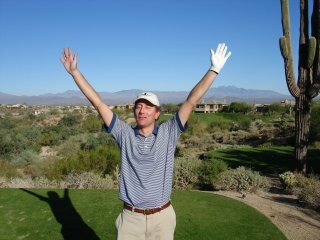 During his recent golf vacation to Scottsdale, the golf gods smiled on him for a brief second, and he jarred it on the 179 yard hole with a five iron. "I knew I had hit a solid shot.... it went right toward the flag, bounced once and rolled about 10 feet, then disappeared. I couldn't believe it." Ed was even more lucky, in that his three golf buddies from Baltimore, Jeff Wexler, Julius Hyatt, and Keith Silverstein were right there to witness, and enjoy a few free drinks on the jubilant 10 handicapper. Ed's Golf Vacation Planner, Golf Zoo's V.P. 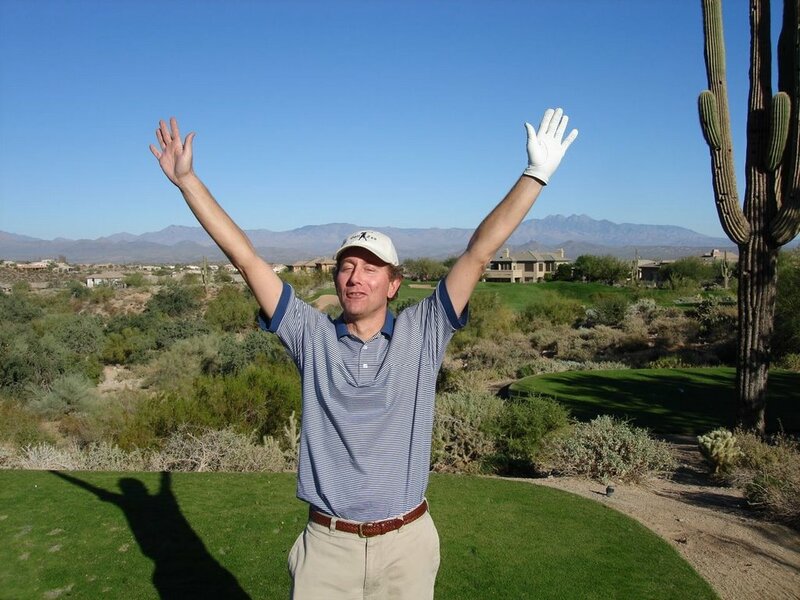 Chris Parcell commented, "Hey - even a blind squirrel finds a nut every now and then, but I don't remember getting a free drink at the bar..."
This was Ed's first, but hopefully not last hole in one.